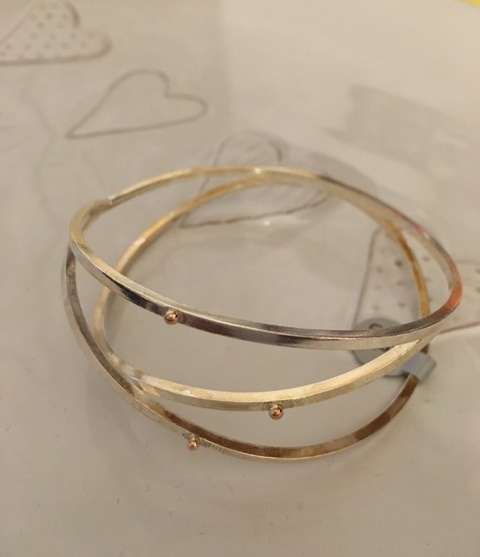 A polished contemporary sterling silver multi-strand bangle with delicate gold nuggets. This bangle has been formed from square wire and hallmarked by the London Assay Office. The internal diameter of the bangle pictured is 6.5cms.